Neutralizes odour caused by fire and soot damages, grey/black water damages, mould, corpse, stove fires etc. The VaporShark uses membranes with original Neutrox Gamma oil, Lemon or S.O.S. oil (Smoke Odour Solution). The favourite device within disaster restoration. Neutralizes odour caused by fire and soot damages, grey/black water damages, mould, corpse, stove fires etc. 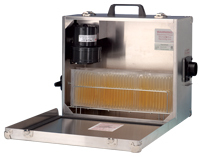 The Restorator uses cartridges with original Neutrox Gamma oil or S.O.S. oil (Smoke Odour Solution). Perfect for small rooms, cars etc. Also very popular within disaster restoration. Battery-powered wall-mounted or free-standing "Air Freshener". 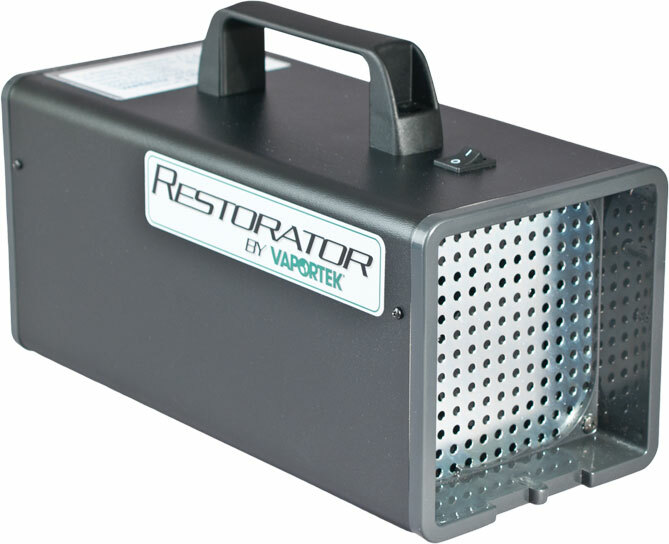 Vaportronic neutralizes and controls odour in small rooms and premises. For lavatories, smoking rooms etc. Vaportronic uses EZ-Disks which are available in several aromas or Neutrox Gamma Bricks. Neutrox Gamma oil EZ-Disk is the best odour neutralizer. Uses 9 volt battery. Unique dry vapour - no aerosols or gel. EZ-Twist is suitable for deodorizing/odour control in small rooms like for example lavatories, waste rooms and smoking rooms. The EZ-Twist can be attached with velcro tape to walls, doors and similar. EZ-Twist releases dry vapour without use of batteries. Twist the cap to adjust deodorizing. EZ-Twist uses EZ-Disk (see page 9). Unique dry vapour - no aerosols or gel. Available in bags of 12 units. TIP! Can be used together with Neutrox Gamma Bricks.